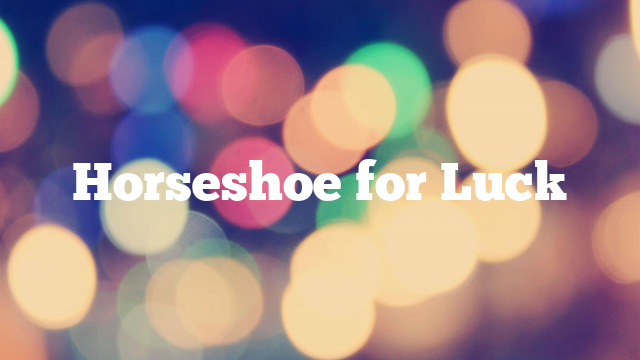 The horseshoe is probably one of the most famous symbols of luck in the Western world. The Horseshoe has a long history of being a protective symbol. This Symbol is quite common in Egyptian iconography. It is also known in Islamic art. The Horseshoe is a very successful symbol, a charm that protects you from all forms of evil and brings happiness. The horseshoe has always been a successful symbol. Especially fortunately it was considered lucky if you found the old horseshoe. Many believe that the horseshoe, which was accidentally found, has ten times the strength of the purchased horseshoe. The best place is an old horseshoe with nails on the spot. It is said that Admiral Nelson's ship named Victory had a przybijaną to the mast of horseshoe luck. How should you hang a happy horseshoe? All superstitious people agree that hanging a horseshoe over the door will protect the house and provide happiness. This tradition dates back to the 16th century. That's all they agree with.